Jenny Holzer: The Power of Words, from the Collections of Jordan D. Schnitzer and His Family Foundation was exhibited at the College of the Desert, in conjunction with Desert X, February 11 – April 4, 2019. Barbara Kruger, from the Collections of Jordan D. Schnitzer and His Family Foundation was exhibited at Blue Sky Gallery March 7 - March 31, 2019. Social Space, from the Collections of Jordan D. Schnitzer and His Family Foundation was exhibited at the Jordan Schnitzer Museum of Art at Washington State University January 15 - March 16, 2019. Enrique Chagoya: Reverse Anthropology, from the Collections of Jordan D. Schnitzer and His Family Foundation was exhibited at Hallie Ford Museum of Art November 3, 2018 - January 27, 2019. Amazing! : Mel Bochner Prints from the collection of Jordan D. Schnitzer and His Family Foundation was featured at the Philbrook Museum of Art in Tulsa, OK from October 7, 2018 - January 6, 2019. Witness: Themes of Social Justice in Contemporary Printmaking and Photography, from the Collections of Jordan D. Schnitzer and His Family Foundation was at Hallie Ford Museum of Art from September 15, 2018 to December 20, 2018. Second Look, Twice, from the Collections of Jordan D. Schnitzer and His Family Foundation was at the Museum of the African Diaspora September 19th through December 16th, 2018. Alex Katz: A Life in Print, from the Collections or Jordan D. Schnitzer and His Family Foundation was at Bellevue Arts Museum from June 1, 2018 to October 14, 2018. Wildlife, Pattern, and Identity: Native American, from the Collections of Jordan D. Schnitzer and His Family Foundation was at Ucross Foundation from June 30, 2018 to October 1, 2018. John Baldessari: Interference Effects from the Collections of Jordan D. Schnitzer and His Family Foundation was at the Missoula Art Museum March 27th through August 25th. Use What is Dominant in a Culture to Change it Quickly: Jenny Holzer's Sentences and Sentiments, from the Collection of Jordan D. Schnitzer and His Family Foundation was at PNCA July 19th through August 22nd, 2018. 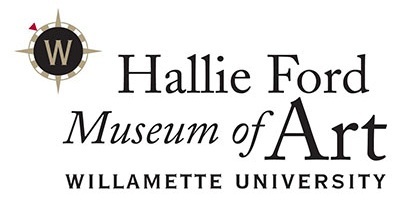 Person(a): Portraiture, Selections from the Collections of Jordan D. Schnitzer and His Family Foundation will be at the Jordan Schnitzer Museum of Art at Washington State University from April 6 through August 4, 2018. Enrique Chagoya: Reimagining the New World was featured at the Nevada Museum of Art in Reno, NV from March 3 - July 8, 2018. Andy Warhol: Prints from the Collections of Jordan D. Schnitzer and His Family Foundation was at the Palm Springs Art Museum March 3rd through May 28th, 2018. Louise Bourgeois: Selections from the Collection of Jordan D. Schnitzer and his Family Foundation was featured at the Pendleton Center for the Arts in Pendleton, OR from March 16 - May 5, 2018. Fluid Expressions: The Prints of Helen Frankenthaler, from the Collections of Jordan D. Schnitzer and His Family Foundation. Contemporary Women Artists is featured at The Jordan Schnitzer Museum of Art at WSU in Pullman, WA from August 22 - November 17, 2017. Frank Stella Prints: A Retrospective is featured at the Montgomery Museum of Fine Arts in Montgomery, AL from August 19 - October 29, 2017. Works by Alison Saar in the 511 Gallery at the Arlene and Harold Schnitzer Center for Art and Design from September 7 through October 14, 2017.